The Society of Professional Journalists (SPJ) organization held the Region 1 Conference, Democracy Runs on Journalism in Boston on the campus of Northeastern University over weekend. Eight members and Dr. Nick Hirshon, professor of communication and faculty adviser to the William Paterson campus chapter attended the conference. SPJ is an organization formed to encourage the free practice of journalism and ethical behavior. The organization also offers journalist scholarships, resume workshops and networking events. SPJ is a nation wide organization that is divided up into 12 regions. Region 1 represents the states of Connecticut, Maine, Massachusetts, New Hampshire, New Jersey, New York, Pennsylvania, Rhode Island and Vermont. Day one of the conference offered two sessions each one hour long. A popular session offered was how to get a job in journalism panel. The four panelist were Bill Bleyer, prize-winning staff writer for Newsday for 33 years, Paula Bouknight, the assistant managing editor for hiring and development at the Boston Globe, Meagan McGinnes, the newsletter editor for WBUR a radio newsroom and Kristen L. Pope, an award-winning journalist, TV host, sought-after speaker and creator of the On-Air Academy. 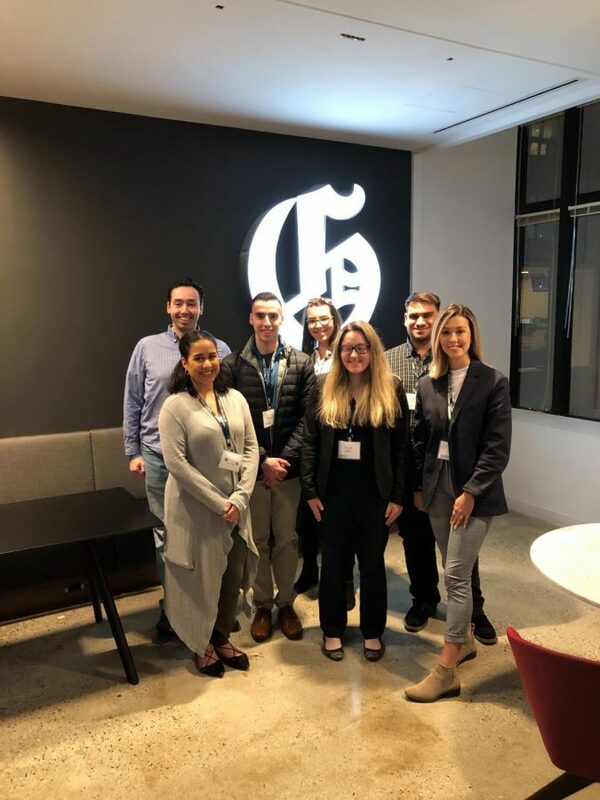 “It was really informative to have professionals who work in the journalism and media industry tell me how they got to where they are and what they are looking for when hiring,” said Yulliet Ruiz, the secretary of the on campus chapter. The professionals gave insight on the current journalism job market. Pope emphasized the need for multi-media journalist in the industry. She described a multi-media journalist as a person who can report, edit, do digital work, and be able to use all social media platforms. A concern for every young journalist is how to get the first job after graduating. The professionals all agreed that creating relationships with people in the industry is essential. One of biggest take-aways from the session was that students have to build those relationships and keep them. They described that in their careers, connections have been critical. The opening reception of the conference took place at the Boston Globe office. Editor of the Boston Globe, Brian McGrory welcomed everyone and was open to any questions. McGrory addressed questions regarding the current state of journalism, the editorial page that fought back when President Trump called journalists the enemy of the people and whether the Globe was currently hiring. The second day of the conference included other sessions, a journalism walking tour in Boston and the highlight of the day was the keynote session with Mike Rezendes, former investigative reporter with The Boston Globe Spotlight Team and Mitchell Garabedian, attorney who helped individuals and represented victims of sexual abuse. 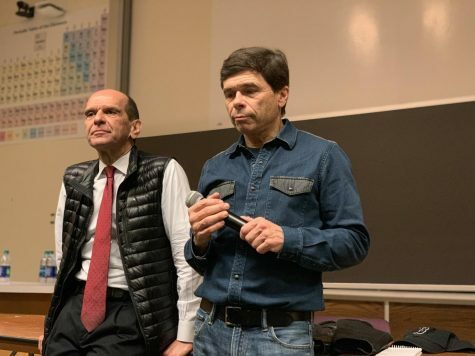 Garabedian and Rezendes discussed the development of the story and the effects it had on the catholic church, victims and themselves. After the question and answer portion, Rezendes encouraged all the journalists in the audience to continue despite the state of the industry. “You may never become famous, but one day, you might change the world,” said Rezendes. The William Paterson chapter will be hosting the New Jersey Journalism Hall of Fame on April 18 at 6:30 p.m. The last Reality Check series guest of the semester is Christina Carrega, Criminal Justice Reporter. The lecture will take place on Monday, April 29 at 6 p.m. in the Atrium Auditorium.